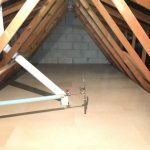 Mr and Mrs Reading previously had a loft hatch, ladder and light installed earlier this year by myslef. 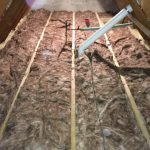 They contacted Access4lofts again as they now required an area of their loft space to be boarded for safe storage, along with a top up of insulation. The loft space was cluttered with two unused water tanks and various unused tv arials. 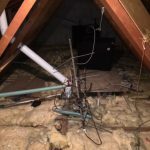 Firstly, I disconnected and removed all water tanks and unused tv arials. This cleared the way for an area of 12m2 to be boarded. 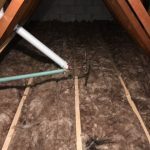 I then installed a subframe for the new loft boards, this raises the flooring to compensate for the extra top up of insulation, ensuring the loft boards do not compress any insulation. Very pleased with our new loft storage. I couldnt believe how much space we had up there. All this done in a day. Thank you. I couldn't believe how much space we had in our loft.